If you're serious about photography, chances are you've got a high-end digital camera such as the Nikon D850 and a few 512GB SD cards for high resolution shots and 4K video storage. 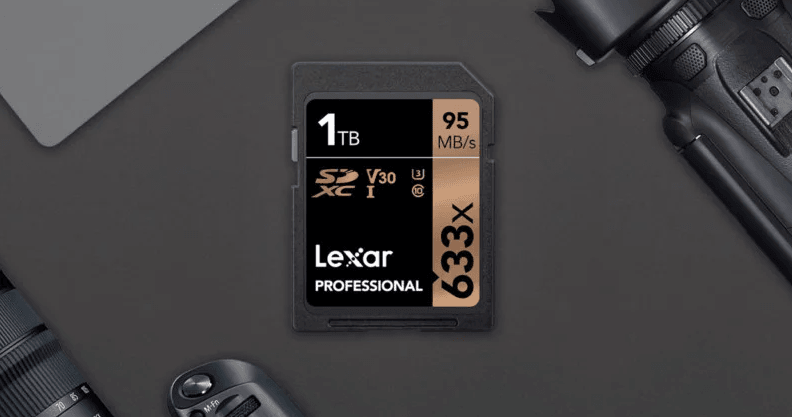 Lexar, however, has beaten every other card manufacturer to the punch by revealing its own 1TB SDXC memory card at CES 2019, and it's already on sale. The company has pitched its latest high capacity memory card at the slots of mid-range DSLR, HD camcorders and 3D cameras. The highest-capacity card's specs claim it has read speeds of up to 95MB/s and write speeds of 70MB/s, though its V30/U3 rating suggests we can expect sustained performance closer to 30MB/s. Still, that should be enough for 4K recording and playback and the capture of a good many RAW photos without complaint. We first saw this huge capacity card back at Photokina a year ago, and is now offers the most memory that you can get in one SD card. While you'll have to pay almost $500, some £391, for the high-capacity card, that price is still pretty decent for a glut of storage that can be easily popped into a compact DSLR.